We know most people aren’t huge fans of reading legislation in their spare time, but the Food Recovery Act (FRA) is an interesting and influential bill that people should know about. So let’s break it down (compost humor). In the United States, we have become too comfortable throwing food in the garbage. 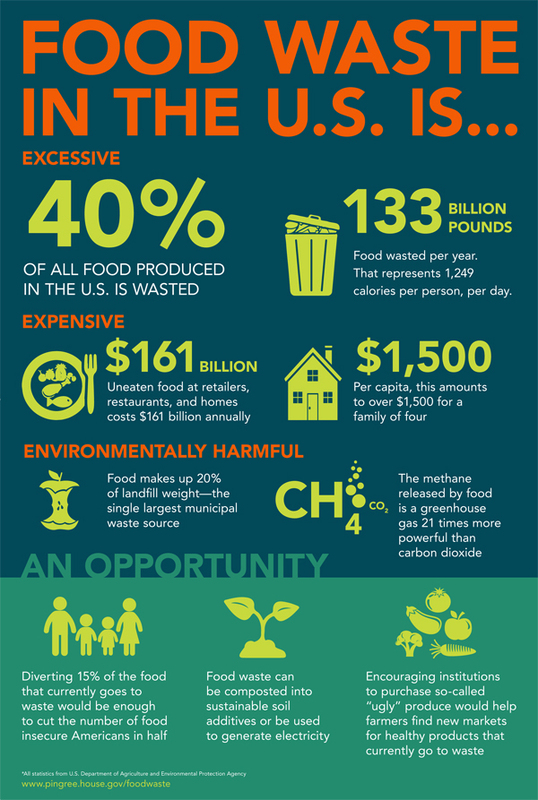 The Natural Resources Defense Commission (NRDC) reports that 40% of food produced in the US is wasted. Forty percent– that’s almost half! Luckily, someone took notice of that alarming statistic and proposed a resolution. The USDA, EPA and UN in September 2015 called for a 50% wasted food reduction by 2030. This past December, Congresswoman Chellie Pingree (Maine) assumed the role of everyone’s “mom making them clean their plate at dinner,” and introduced the Food Recovery Act (FRA). This act addresses the rising quantity of wasted food nationwide and introduces different solutions to increase awareness and decrease wasted food. The resolution proposes programs that range from education to best practices and cover a wide variety of stakeholders. 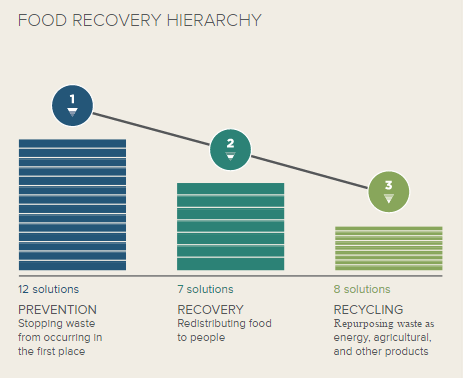 These solutions to wasted food fall into a hierarchy, as outlined by this handy figure from Refed (Figure 2). Refed is a collection of organizations with the common goal of reducing wasted food. The solutions for each group addressed by the FRA (consumers, farms, stores, and restaurants, schools, federal government) fall under one or more of these stages: prevention, recovery, and recycling. These parallel the philosophy Reduce–Reuse–Recycle, which we love! Prevention is at the top of the hierarchy because if we prevent waste from occurring in the first place, we don’t have to worry about it later! 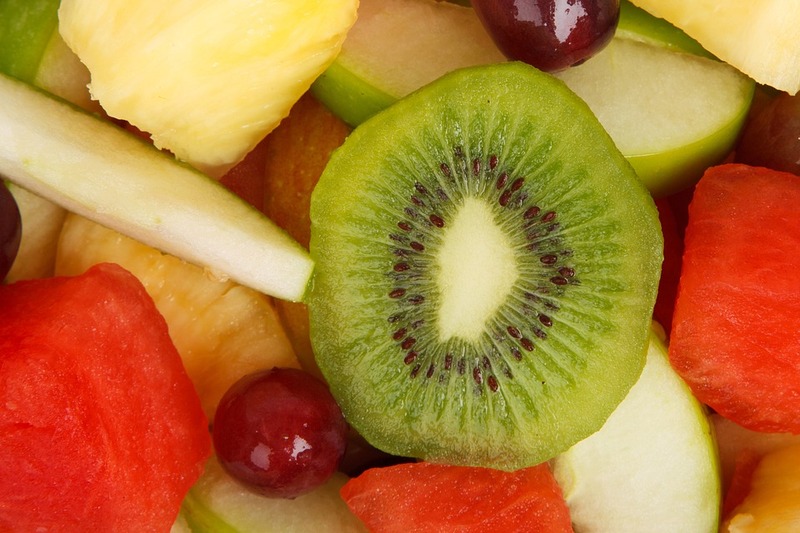 Awareness and education are crucial to the prevention of wasted food. An example of significant prevention knowledge is the difference between “sell by,” “use by,” and “expires on” labels. Many of us were taught the strategy to “grab the milk from the back of the grocery fridge and toss it when the date says”, but learning the difference between usable and spoiled food can substantially reduce the amount of wasted food. Another important strategy is to make mindful shopping lists and only buy necessary items and quantities. The FRA also addresses that more research is still necessary to discover how to reduce wasted food productively and efficiently. For example, storage and distribution technology for stores and distributors could be improved to help extend the shelf life of food products. This would mean more meals for people, and less for the landfill! Believe us, the landfills are stuffed. Recovery is the next step in solving the wasted food dilemma. Along with education, advocacy, and an increase in efficiency, the major players (farms, stores, restaurants, and the federal government) are working on both prevention and recovery tactics. These establishments are also trying to strengthen the way food can be donated to those in need. Feeding America, a nationwide network of food banks fighting to end hunger, reports that in 2014, 46.7 million people (14.8 percent of Americans) lived in food insecure households. 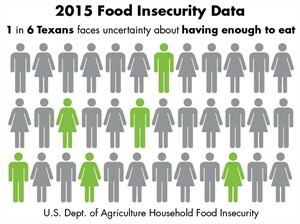 A food insecure household is one in which every member of the household has uncertain or completely lacks access to enough food for a healthy life. The Good Samaritan Food Donation Act allows food to be donated without risk to the donor. This is a win-win situation as food is not being wasted and the hungry are being fed. The federal government also created the Office of Food Recovery which holds their facilities (agencies, prisons, military bases) responsible for waste reduction and requires these establishments to donate any unused food to food banks and other charitable organizations. The Waste Not OC Coalition has taken full advantage of this act in an attempt to eradicate the hunger problem in Orange County, California. This organization works in conjunction with the local food banks and Food Finders, a food rescue program, to divert usable food, which would normally be thrown out, to those food banks that desperately need the donations. Locally, Keep Austin Fed is an organization that redistributes surplus food from commercial kitchens to provide for those in need. 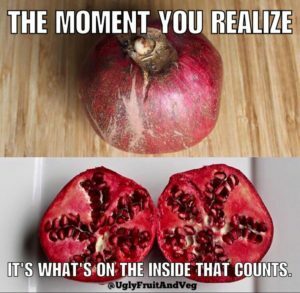 Also on the route to recovery and because we know it’s what’s on the inside that counts, restaurants and schools are encouraged to buy and use “ugly food” for their meal services. Organizations like Imperfect Produce and Endfoodwaste.org promote the use and/or distribute these so-called “ugly” foods. End Food Waste has an online promotion on their social media pages (@uglyfruitandveg) to make the use of ugly food a trending topic. They know that first impressions aren’t always accurate! Figure 5: Why we want to avoid landfills, in emoji form. Even with the prevention and recovery stages, we know there is still some unavoidable wasted food. So what can we do with these leftovers while still evading landfill use? Turn your spoil into soil! It’s composting time! All of these entities addressed in the FRA are encouraged to establish composting practices and support the expansion of existing composting businesses. As a composting business ourselves, we are proud to be part of the solution by not only accepting compostable material, but turning this “waste” into a resource. Creating a closed loop cycle by returning our finished compost, soil, and mulch products back to the earth through our local community is central to our mission. Remember: Feed the soil, not the landfill. We love to cultivate this philosophy by helping our customers achieve their project goals! You can make your own compost too. There are many ways to compost, including vermicomposting (composting with the help of worms.) Worms may not be the prettiest creatures, but they’re superheroes in the composting world. Alongside composting, other innovative food recycling projects are happening across the nation. The company Bio-Bean teamed up with waste management facilities to collect and recycle used coffee grounds and create products ranging from biodiesel to carbon neutral bio pellets for heating buildings. More exciting innovations arise every day as we increase public knowledge of wasted food prevention. So spread the word, not the waste! Source: The above post was written using materials from Congresswoman Pingree’s legislation page. Note: content was edited and expanded for readers.